Officials have unveiled a new preferred route for the Nebraska portion of the stalled Keystone XL oil pipeline that avoids the state’s groundwater-rich Sandhills region. reroute adds about 100 miles to the original 1,700-mile project that would carry oil from Canada to the Gulf Coast. TransCanada submitted the proposal after Gov. Dave Heineman allowed the state officials to proceed with an environmental review. 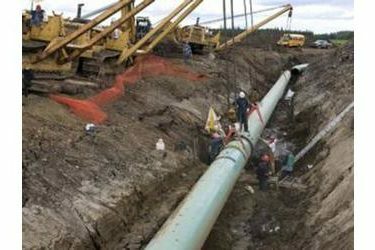 The review had stalled in January after the Obama administration rejected a federal permit for the pipeline. Administration officials said they didn’t have time to review the project before a congressional deadline and cited uncertainty about the Nebraska route.